The finishing touches are currently being added to the new Sherwood Forest visitor centre, in preparation for opening later on this month. The new centre will aim to give a big boost for the local economy once open, and is already making its mark. Contractors, Woodhead Construction, are based in Edwinstowe, just a stone’s throw from the new centre, and have revealed that more than 90% of the spend has been within a 40-mile radius of the site. Ross Frazer, RSPB project manager, said he was delighted that so many local workers and resources have been used whenever possible in the project, which is costing more than £5 million. Andy Stamford, Woodhead’s site manager, said a lot of time and effort went into ensuring that so much of the build was resourced locally. Nottinghamshire County Councillor, John Cottee, chairman of the community and place committee, said he was delighted by the news. 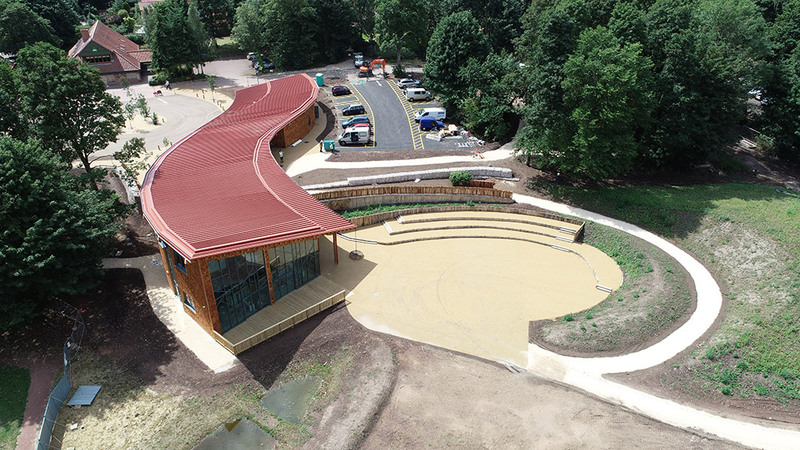 “After many years of work trying to establish a new Sherwood Forest Visitor Centre, I am thrilled that this has finally come to fruition and is almost ready to open. These last few weeks of work include fitting out the new shop and kitchen and stocking both, and adding interpretation details around the site, which help bring to life the forest’s wonderful stories, from Robin Hood to ancient oak trees and wildlife. Plans to landscape the area around the new centre have had to be put on hold temporarily, due to the unusually hot and dry weather this summer. Ross explained: “Our landscape architects took the decision last week to not go ahead with the planting, having looked at the longer term weather, and advice about water conservation. “It is a shame that the new centre won’t be surrounded by the wonderful greenery we had planned at the point we open, but it was the only sensible option, given that we need to be conserving water where we can. 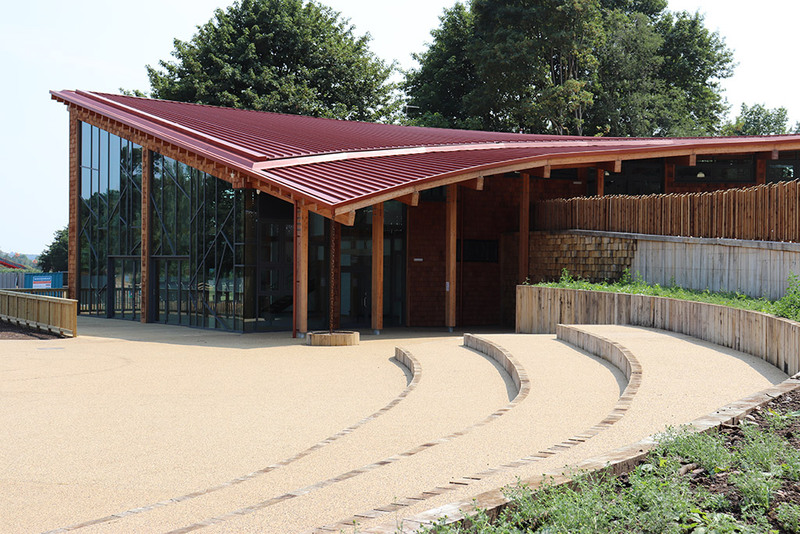 As well as the new shop and café, the centre also includes a terrace, an outdoor amphitheatre and a new Robin Hood-themed playground, designed with the help of children. Staff working on site and at the old visitor centre, which closed on July 23, have now transferred across to the new centre, where they’ve begun training, and all the preparation needed to open. 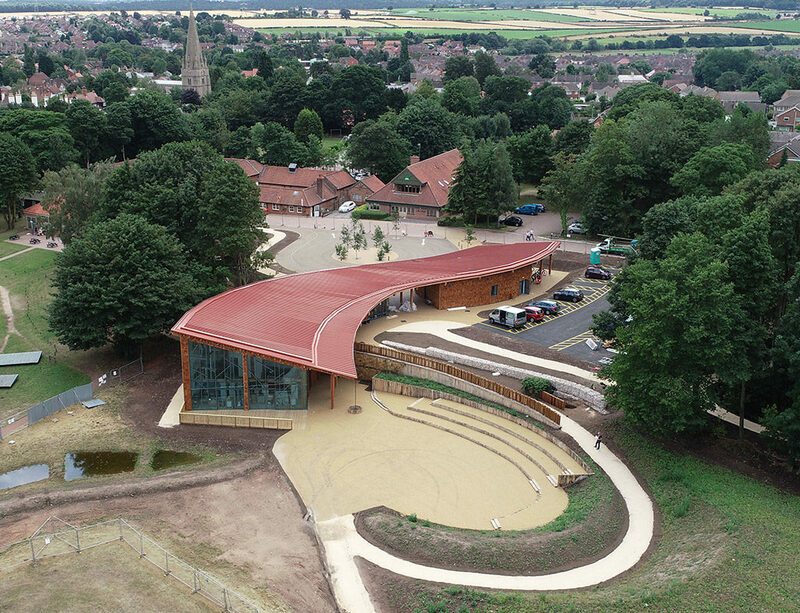 The centre will be ready in time for August 27 – which is the start of the Robin Hood Festival, when the new consortium will officially welcome the public to the new centre and the popular week-long event. Gemma Howarth, RSPB’s senior site manager, said: “We felt the festival would be a fitting way for many people to enjoy their first visit to the new centre – bringing together the legends of old with our wonderful modern new building. As the new centre opens, the old 1970’s visitor centre and car parks will be removed, and the site where they stand returned to nature. The RSPB-led partnership includes Sherwood Forest Trust, Thoresby Estate and the Woodland Trust, working together with Nottinghamshire County Council, who provided £4 million towards the cost of the project. Besides partners, other funders included D2N2 Local Enterprise Partnership, who gave £500,000, and the Garfield Weston Foundation. The project was procured through Scape Venture, a procurement specialist offering an efficient approach to delivering innovative outcomes for public and private organisations.